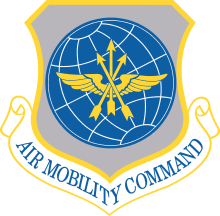 In addition to its status as a MAJCOM of the Air Force, AMC is also the Air Force component command of the United States Transportation Command ( USTRANSCOM). It provides airlift, special missions, aerial refueling, and aeromedical evacuation for the United States armed forces. It also provides alert aerial refueling aircraft to the United States Strategic Command, and is a provider of theater airlift, aerial refueling, and aeromedical evacuation forces to the regional Unified Combatant Commands. AMC also operates VIP flights such as Air Force One, Air Force Two, and other Special Assignment Airlift Missions (SAAM). Finally, AMC acts as the single manager, on behalf of United States Transportation Command (USTRANSCOM), for Military Space Available Travel.